Another week has just flown by and it is time for coffee Monday again. 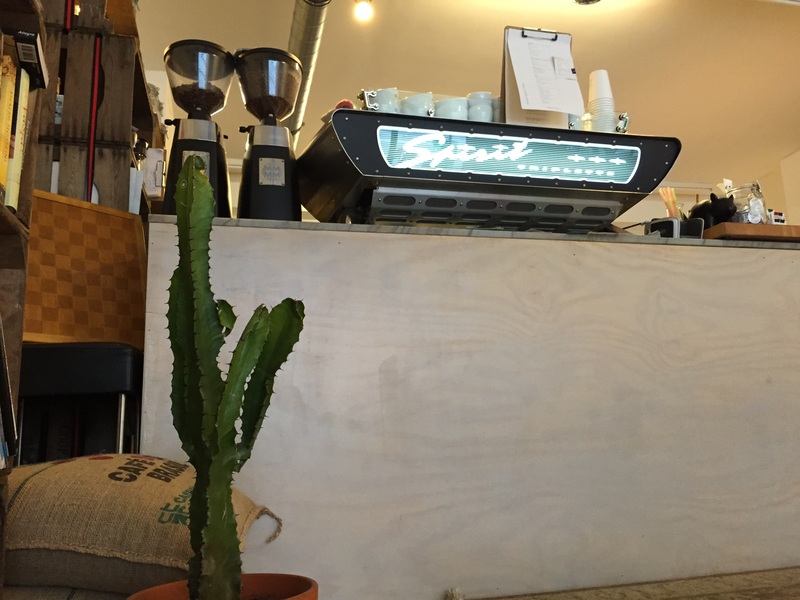 This week we are back in London and one of the coffee roasters I often enjoy going to. TAP Coffee have been around for some time but they used to be called Tapped & Packed. In the old days they served a range of different roasters but since a few years they roast themselves. They currently have three locations in London (26 Rathbone Place, 114 Tottenham Court Road and 193 Wardour Street) and I do visit all of them fairly regularly. This review is however mainly for the one on on Wardour Street in Soho. I prefer coming here on weekdays as weekends tend to be too busy and while the place has a fairly large number of seats it does tend to crowded. It may also not always be possible to order all the hand-brews if they are too busy at the brew bar. 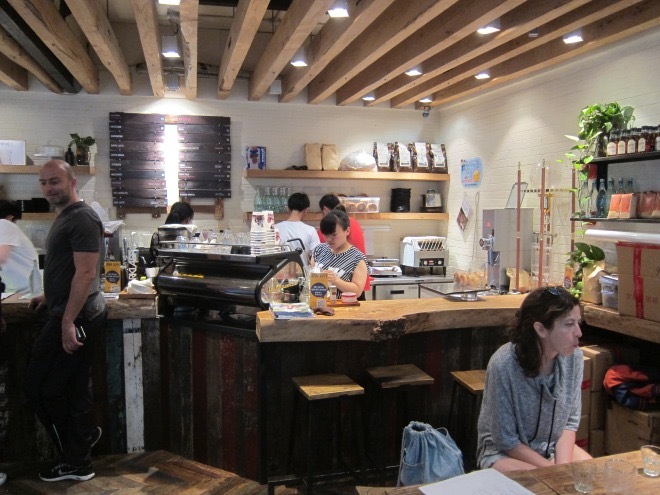 They have the roaster in the back and the space looks a bit rugged but nice. One thing I am not a huge fan of is the seating. The seats are not very comfortable and they are actually rather ill-suited to sit and work. That may be intentional to avoid having people linger for too long. They do however offer free wifi and a lot of newspapers and magazines which in a way is an invite to stay for long. 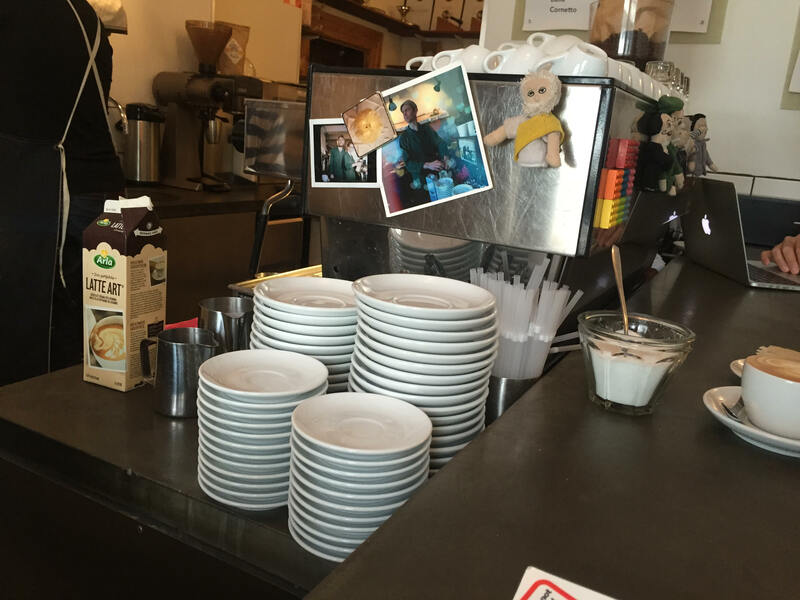 Service is very much up and down here – sometimes people are super-friendly and at others I almost feel like I am a nuisance when trying to order some coffee. Out of the three locations this one is the only one where service is so inconsistent, perhaps due to it being the busiest one but still not really great. 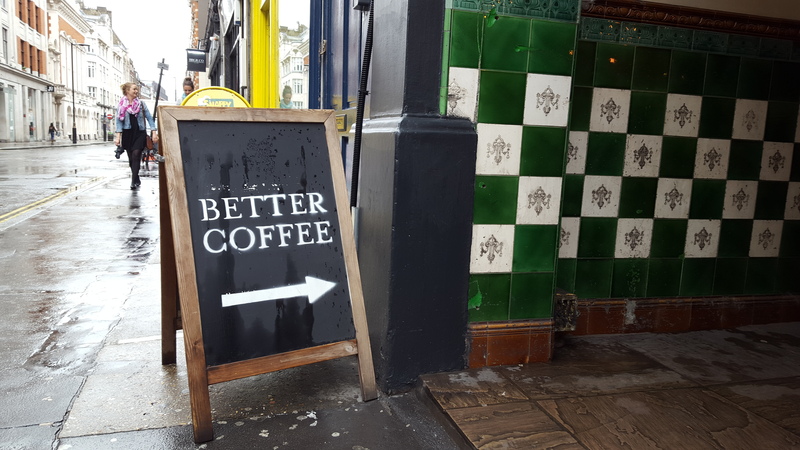 The main reason to visit is however the coffee. They offer three different coffees as hand-brews and the selection rotates fairly frequently. The quality is usually really good, the roasting was not top notch when they started but I really feel that they have improved greatly. While not always the most exciting coffees they do have consistently good quality and reliable execution which is not easy. They also offer good espresso based beverages and for part of the year also nice cold-brews. With regards to food they do have a good range of typical café food so plenty of sandwiches, pastries, some yogurt and the occasional salad. Good enough to keep hunger at bay but not really a substitute for a real meal. Quality is good but not overly exciting. The coffee Monday this week goes back to Amsterdam. When people talk about Amsterdam and coffee in the same sentence it has historically been more the coffee shops where there is more smoking than coffee drinking go on. 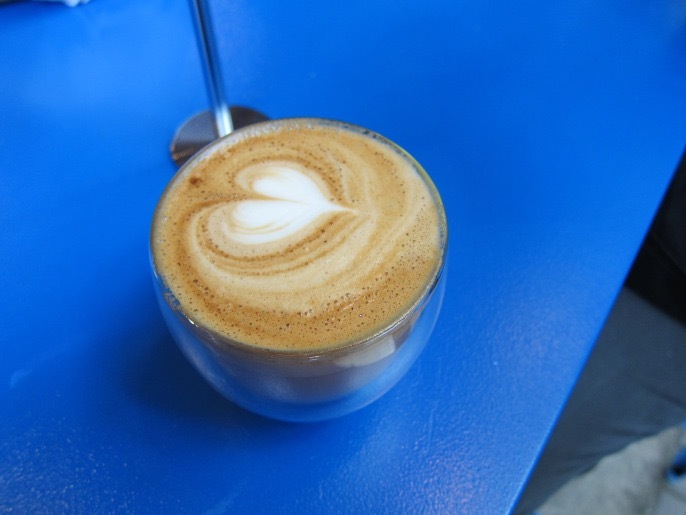 The specialty coffee scene in Amsterdam is however really taking off and in the past couple of years a variety of new places have popped up. One of my recent discoveries is White Label Coffee in the western part of Amsterdam. I first encountered their coffee at Kokko in Helsinki and then decided to make sure to have time to visit. They have a rather spacious café where they roast coffee, sell beans and some equipment as well as of course serve the coffee. They have a wide range of coffee for sale and upon my visit they had an impressive seven different coffees available to order as hand-brewed filters. The guys working here really know how to make their coffee, very nicely prepared. 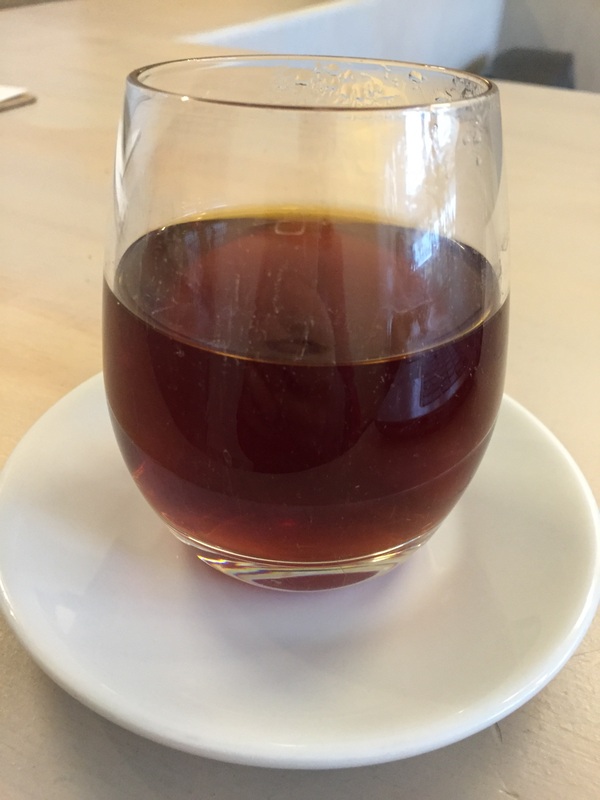 The roasting is also very good and I was impressed by filter as well as cold brew. For me they are among the top coffee places in town and for me they are currently only beaten by Scandinavian Embassy but I do believe the fact that these guys roast their own coffee is something that may in the long run make them number one. 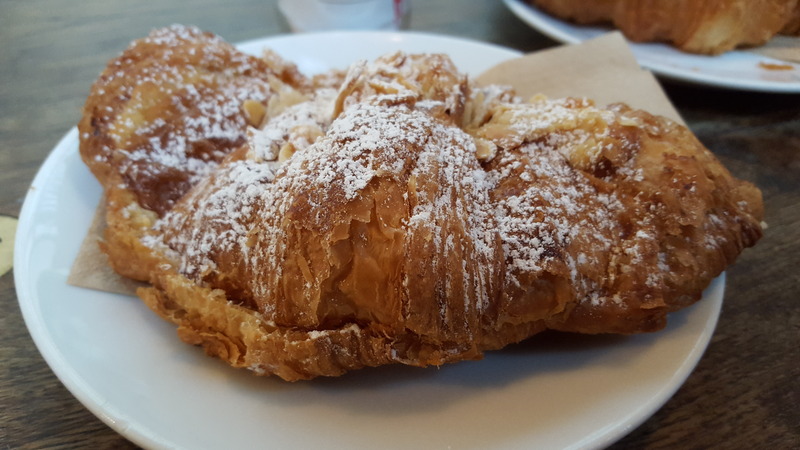 There is some simple café food on offer and nice apple pie and other pastries but I would still not say that it is the place to come for a full meal. What they have is however nice and decently priced. I like the atmosphere of the place and the people working there are very friendly so it is a nice place to hang at. It is fairly spacious and has free wifi so it is also possible to hang around for a longer period of time. Once again the coffee Monday post is published on the Tuesday, this is almost becoming a habit so I will perhaps change it to the weekly coffee post. This week it is more on Helsinki. I must admit that my view on Helsinki has changed a lot in the past years. I used to see Helsinki as a boring grey, half Eastern European part of Northern Europe that had little to offer from virtually any perspective. When I then started to visit more often I realized that things have really changed in Helsinki, the weather may still not be a reason to visit but there is bustling restaurant and bar scene and the specialty coffee scene is very lively as well. 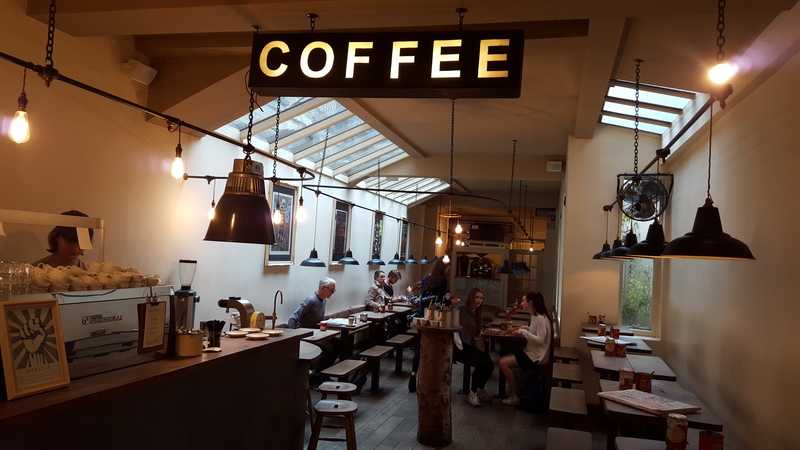 I find more new places opening here than in the other Nordic countries and looking at the small size of Helsinki there is an impressive array of places that serve up good coffee. One of the newer ones on the scene is Maja Coffee Roastery. I sampled their coffee at several locations in the past year but did not have the chance to visit until recently. The roastery is run by a Finnish Japanese couple and they sell beans to other cafes as well as serve them at their own café. The café is located on the outskirts of Helsinki so not an easy location to get to without a car (or bicycle if the weather is nice) as there is no tram or metro going there (just a few buses). They are located in an old run down half outdoor mall where most of the shop spaces are empty except for pizza place, a golf store and something that looked either like a second hand store or an accountants office (or perhaps a combo of the two). They occupy a very small space there with enough seats for around 10 people (two tables inside and one outside) so not really a place for crowds. It did however not seem extremely busy when we were there and from what I understood opening hours are a bit infrequent so always best to check their FB page in advance. They have created a very nice looking space that nicely integrates the Nordic and the Japanese so nice wooden chairs and tables with beautiful glassware and simple design. The service is friendly and relaxed. They take their time to talk about the coffee and tea and are also happy to recommend other places as well. There is no free wifi so while the place is inviting to stay and relax it is perhaps not optimal to sit and work here. 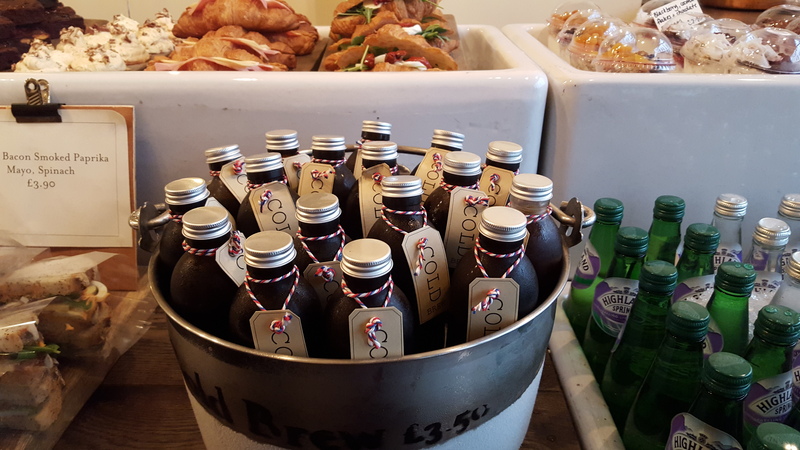 The coffee on offer is their own roasted coffee. 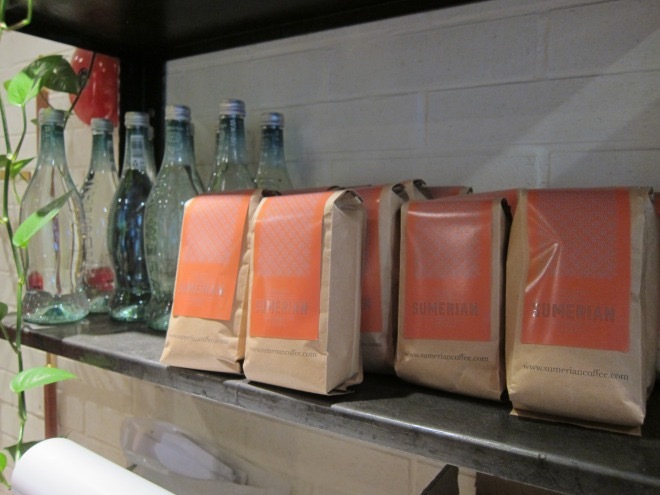 Usually two or three different options, all have been roasted on site on their one kilogram roaster. The coffees can be ordered either has hot or iced and there is an option of with or without milk as well. They are brewed on order and having tried their full range I will say they do brew nice coffee. Improvement would be offering multiple brew methods as I do for example believe that their nice Kenyan AA would be even better as an Aeropress. The coffee is however consistently good and while not reaching top levels they are good. They also have very nice teas from German Paper and Tea so also the tea drinkers can get their fix here. Food selection is limited, usually some raw cake and toasted sandwiches. So it is simple yet sufficient but perhaps not the place to go to for brunch or lunch. They are however a very nice addition to the Helsinki coffee scene. Normally there is a Coffee Monday post but due to a bit summer slacking this ended up being a Coffee Tuesday post. 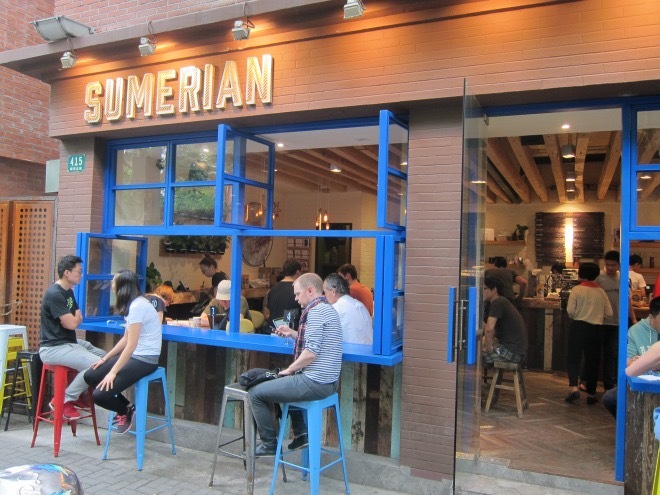 Among the more popular coffee places in Shanghai, is also the usually packed Sumerian coffee. It does not look like much from the outside but the crowd makes one interested to see what it is all about. Somehow it is still usually possible to find a seat, especially along the counter at the windows. There a few coffees to select from as hand brews, either cold or hot as well as espresso based beverages. The coffees are roasted by themselves but it is fairly dark and not dosed properly. It comes out way too dark and the flavors are rather muddled and not very clear. The cappuccino was decent, clearly drinkable, but nothing special. The quality of the coffee sort of falls into the category of being better than a regular cafe but not at all good enough to be a specialist coffee place. The service was neither friendly nor unfriendly but rather stressed and not really interested in chatting, perhaps due to the number of people there. The tables are placed really close to each other so also very difficult to move around inside as the place is not really inviting to sit for a long time. Three is still free wifi so that is of course a plus. The ambiance is however still not inviting, somehow the feeling of the place was not friendly and all visits there have been loud expats there so not really the atmosphere I am looking for. The food seems to be a big draw here, a lot of wraps and sandwiches to select from as well as smoothies and salads. Not very local fare, rather more the type of stuff one would find in an average Western cafe. There are better options in the same area (I would hold Seesaw, Cafe del Volcan and Paloma Cafe higher) so will not frequent this place but if in the area I know thatthe coffee is drinkable.